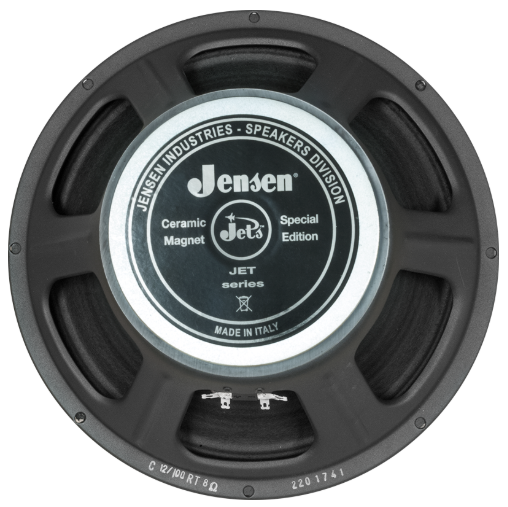 Jensen has unveiled the latest addition to its Jet line of speakers, the Jet Raptor. From the company: The Jensen Jet Raptor is a powerful speaker with smooth and warm sound. It has excellent definition in the upper midrange. When presented with overdrive distortion, it exhibits a silky, full sounding lead tone. The Raptor’s 100 watts of power and its ceramic magnet make it a real workhorse. As with all the Jensen Jets, it offers modern tone for the modern player. The Jet Raptor is available now. For more information on the Jet Raptor, and how to obtain one yourself, stop by jensentone.com.